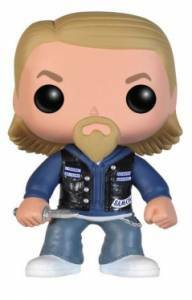 Funko Pop Sons of Anarchy figures most definitely let freedom ride! The modest-sized set features members of the rogue Teller-Morrow family from the FX series. 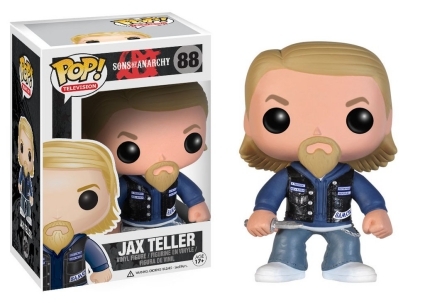 The figure for Jax Teller, portrayed by Charlie Hunnam, leads the crew in a black leather SOA vest. He stands in blue jeans and white sneakers looking ready to fight as he holds a silver blade. 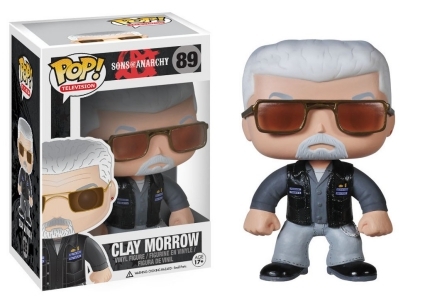 Equally intimidating, Teller's gray-haired stepfather, Clay Morrow (also wearing the SOA vest), is posed with fists clenched as he sports a pair of sunglasses. 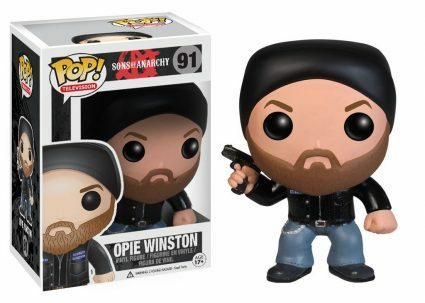 Shop for Funko Sons of Anarchy Figures on Amazon. 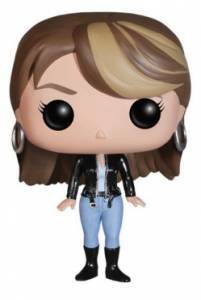 Clay's better half and Jax's mom, Gemma Teller Morrow, played by the ageless Katey Segal, has streaked hair neatly tucked behind her ears revealing silver hoop earrings. Seemingly the only Sons of Anarchy character with a full beard, Opie Winston wears a black cap while brandishing a pistol. Additionally, the Pop! 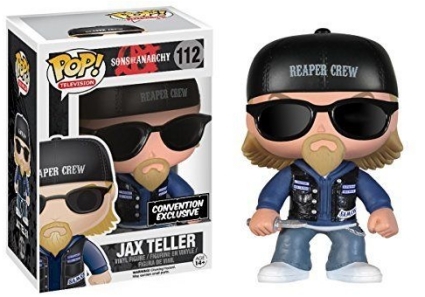 Television set includes a 2014 exclusive of Jax with a Reaper Crew hat and black sunglasses. 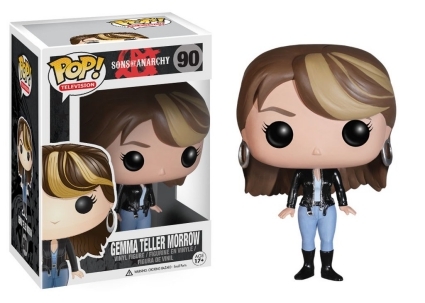 Because most of the Pop Sons of Anarchy subjects have been "vaulted," which means they are no longer being produced, prices on the secondary market have risen, especially for Jax. Learn about the Sons of Anarchy trading cards with our related guides.